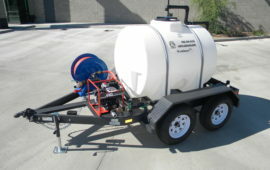 The Waterdog water trailers are an ideal solution to Dust Control on job site, washing off equipment, and power pressure washers. 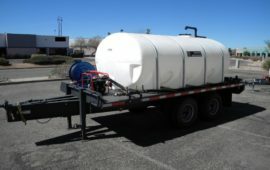 The 1000 gallon and 2035 gallon water trailers are capable of doing anything a water truck can do, with the added benefit of having the flexibility of a trailer. 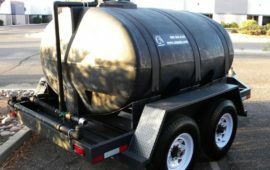 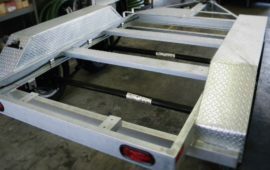 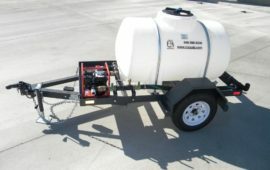 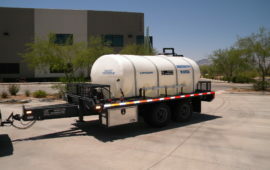 These water trailer are tough and simple to use, and come in a wide range of sizes to accommodate your commercial needs. 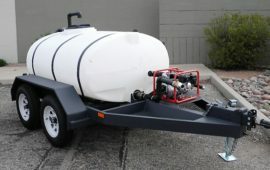 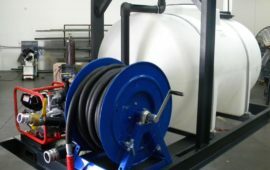 Every fully DOT compliant water trailer will arrive ready to work with all of the needed hoses, even oil in the engine. 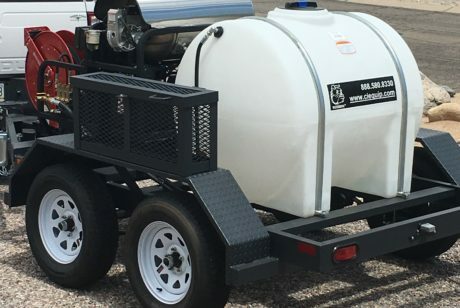 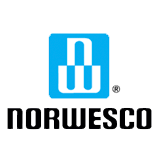 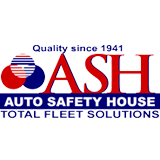 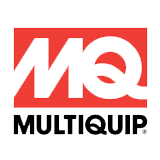 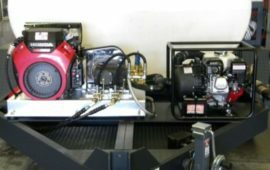 We will work with you on any custom applications, from pressure washers – hot and cold, specific design custom plumbing, additional hose reels and tool boxes. 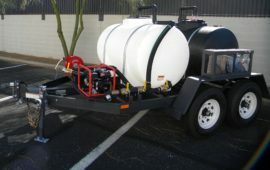 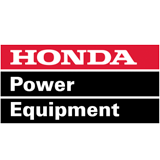 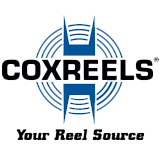 We look forward to working with you on your commercial application.